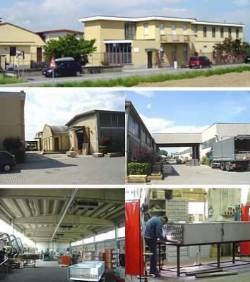 The company CROCCO, founded in 1962, manufactures finned coil exchangers and any kind of apparatus based on such component, that is air coolers, evaporators, gravity coils, air cooled condensers, dry coolers and so on. The Crocco S.a.s,in order to guarantee to all costumers product with high quality and reliability,has gained is certification UNI EN ISO 9001:2015. For many years our productions has covered also stainless steel coils, either with stainless steel tubes and aluminium fins or totally made of stainless steel. It means that we can manufacture air coolers, as well as made of the traditional materials as copper and aluminium, also completely made of stainless steel (A340L A316L A316Ti): tubes, fins, casing, fan guards as well. The characteristics signs of our productions are the flexibility, by which we can meet the requirements of our clients, and the strength and quality of our products. Our productions actually consists of, as well as a wide range of catalogue standard equipments, also in special executions manufactured on the basis of specific needs of the client.